Sometimes my son’s emotions take me by surprise. Things that haven’t caused a huge reaction before are suddenly very hard to handle. Like when his Dad left for a business trip and saying goodbye was unexpectedly really, really rough. Or how for some reason falling down this time and in this place, even though he isn’t hurt really bad, is just the last straw — when five minutes earlier he would have stood up and brushed himself off. When our kids are upset, it can sometimes trigger us to be upset too and instead of responding to our kids, we react. 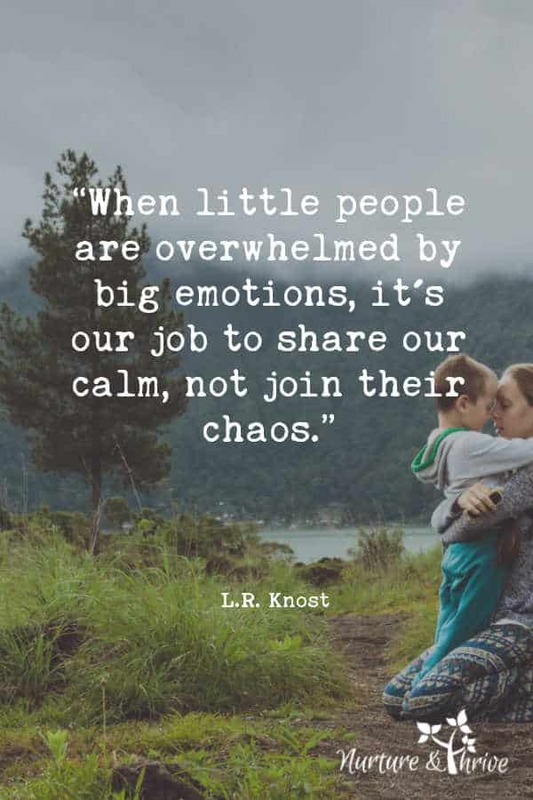 It seems like when our kids are upset and need us the most are the exact moments we aren’t prepared for — the moments we ourselves are tired, stressed, sad, or triggered. It’s exactly those moments that I feel like my words fail me — I search for the right thing to say and it escapes me. It is also exactly at those moments when our children need us the most — to be able to lead them through the emotion, through the storm. It’s our job to be accepting of the emotion, while at the same time teaching them how to handle those emotions. 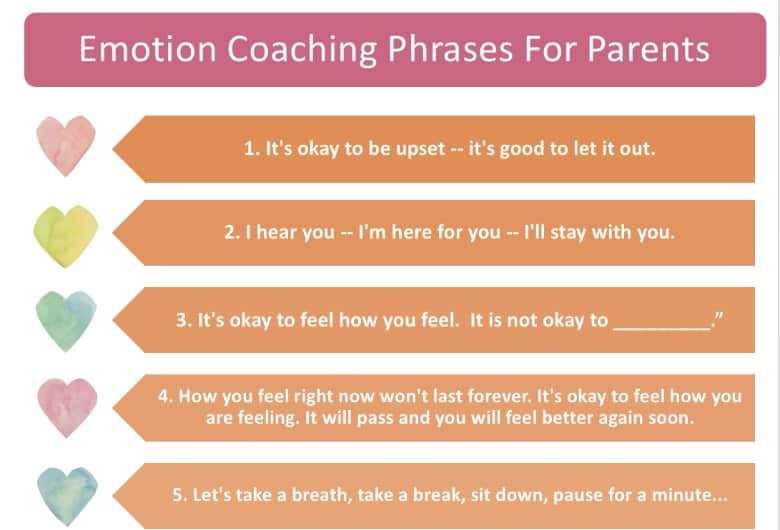 To coach our child through their feelings, from experiencing those feelings to expressing them. Our words to our kids when they are upset can either break them down or build them up. 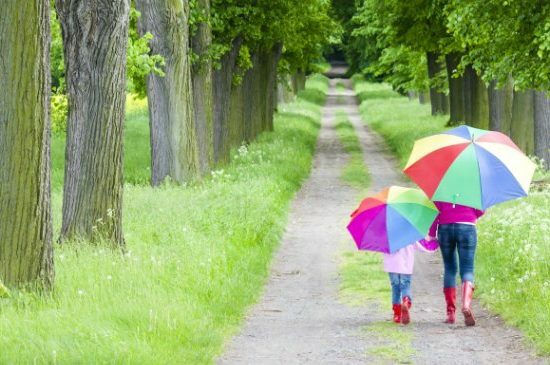 These phrases will build your child’s emotional intelligence — these are soul-building phrases. Don’t miss the free printable at the end of this post so you have it handy when you need it and so your words don’t escape you next time your child’s emotions are bigger than they are. 1. It’s okay to be upset — it’s good to let it out. The first thing we want to teach children about emotions — is that the emotion is okay — it needs to be felt. It needs to be experienced. That the emotion itself is not a bad thing. To acknowledge and validate how they feel. It seems like you are mad, it’s okay to be mad. It’s good to let that anger come out. You face/body looks sad. It’s okay to feel sad. It is sad to say goodbye. 2. I hear you — I’m here for you — I’ll stay with you. The best gift you can give to another human is to stay with them in their emotion. To hold that emotion with them. That is something we must give to our children as well. To simply be with them in that emotional space. To be there. You are upset, let’s sit here for a moment. I’m with you, I’ll stay with you — it’s okay to feel _______. I won’t leave you. Sometimes it is necessary to use a very clear limit in how our child expresses their emotions. It isn’t the emotion itself that needs to change, but rather how they are expressing it. You look like you are really, really angry. It is okay to be angry. It is not okay to hit. I will not let you hit. Let’s go over here together and you can be angry. This is a very clear statement — hitting is not okay. As your parent, I won’t allow you to hit. I will help you regulate your anger, being angry is okay, hitting is not okay. Taking a break when we are angry, walking away for a moment is actually a good way of regulating anger. You are teaching your child to give themselves a little space to breathe and time to gain perspective. During this time-in, you can help your child regulate their anger and help them figure out a better way to solve their issue/frustration. Find more ways to handle anger here: Teach Your Child to Manage Anger. 4. How you feel right now won’t last forever. It’s okay to feel how you are feeling. It will pass and you will feel better again soon. In-the-moment your child feels (and acts) as if their entire world is ending. Their emotions are big and overpowering and they feel that they will never feel better again — which only compounds how they feel. How many times have your child said to you, This is the worse day ever! Ironically, 5 minutes later they will be happy-go-lucky skipping by you, while you are completely emotionally wrung out and wondering how you’ll get through the rest of the day. It’s as if that massive meltdown of epic proportion never even happened. It is much harder for us as parents to be able to let it go — but remembering that their emotions will pass will help. And reminding them that their emotions will pass will help them too, potentially lessening the intensity of those emotions in the first place! It is a hard thing to do to sit with an emotion. To just feel it — live in it. But if we allow ourselves to be in the moment with our emotions, then we can let them go easier. They don’t fester deep inside until they get so big they explode out of us again. 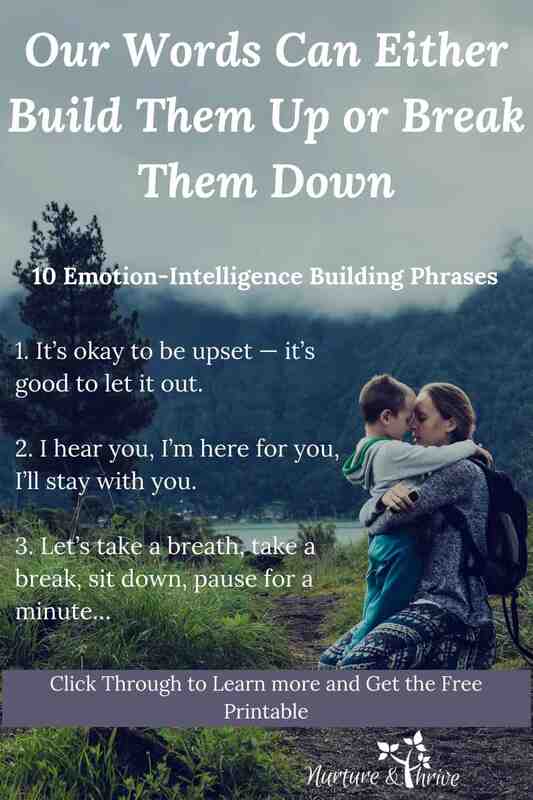 For our kids, we can teach them that when emotions are big, it’s okay to sit with them for a minute. You can sit quietly or you can ask them how they feel. Or, perhaps even better you can describe how feelings feel to you, thereby helping their emotion understanding. As you talk, they may relate or change what you say with their own descriptions. When I feel that upset, I feel like I can’t catch my breath, so I try to breathe slowly. Sometimes I feel a little embarrassed too, and a little hurt, I feel like my heart is a bit bruised. After a few minutes, my heart feels better and I feel like I can go on with my day. 6. You are good and kind. Being dysregulated is not being bad. Being angry or frustrated is not being bad. Yet, sometimes when we are emotional, we don’t always make the best choices. Our kids may make mistakes or bad choices, but that is how they act, not who they are. 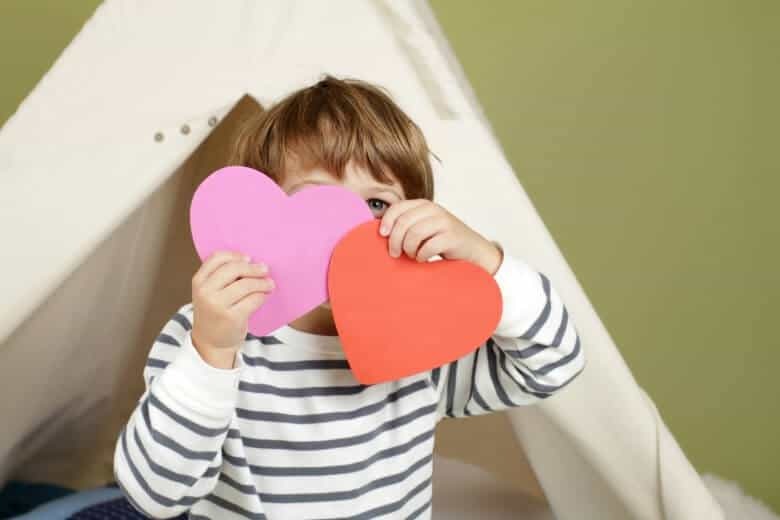 Research shows that telling children they are kind, leads to more generosity. We want our kids to know that no matter how they are feeling, that they are good and kind. You were angry. You didn’t mean those unkind words about your brother. Sometimes we say things we don’t mean when we are mad. You are a kind boy. What do you think would make your brother feel better? This also helps our children with their friendships. Young children like categories and labels — it’s part of how they think. This is an important distinction to learn in early childhood. 7. I’ll be over here when you need me. I am all for validating and acknowledging children’s emotions, but sometimes kids escalate their emotions for attention. This is a big clue-in for parents that your child needs some one-on-one time. But not right now, later when things are calm again. How do you know when it is an escalation? When your child refuses a hug or comfort and cries harder. Or when all the tactics that usually work fall flat. Giving unending validation and acknowledgment at times like this can backfire, potentially even enable the tantrum or escalation of emotion. You aren’t abandoning your child with their emotions, you are trusting them to put some of the strategies in place that you have taught them. You also make a note that they need attention, you make sure to do that later that day — have some quality one-on-one time and reconnect. But right, now, it’s okay to give them space to regulate. They may ask for you to come back and that’s fine. After a short while, you might check on them and ask if they need a hug. Or, they may just need a little time on their own — we all do sometimes!! 8. Let’s have a Do-over! Oh, how I love do-overs !! Whoa!!! This is not the fun we had planned for today! This is not fun for anyone. That was not the way to handle that situation, was it? She didn’t mean to hit you in the eye with her coat sleeve and you know it’s not okay to hit ever. Let’s have a do-over!! Let’s try it all again!! How can we do it better this time?? Sometimes everyone needs a chance to reset. Sometimes kids know they have messed up and they want to save face, they want a chance to do it better. A do-over is not always appropriate, for example, if feelings have been deeply hurt a do-over can be dismissive of the person with hurt feelings. But, so many situations are little tiffs that we let get under our skin that pile-up and become more and more frustrating. 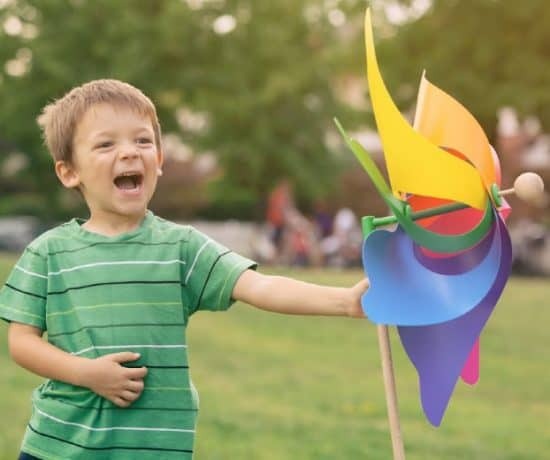 Give your family a chance to do it over and start out on a good — no on a great note! 9. What can we learn from this? What is the lesson in this? Teaching our children that there is a lesson when we struggle is so important. That there is a lesson in our pain, disappointment, anger. That problems that are hard to solve lead to opportunities. That it is through our mistakes that we grow. This is not just true for academic situations or achievements. It is true for relationships, for friendships, for dealing with hard social situations. It is true of things that make us feel sad, things that make us doubt ourselves. What is the emotion trying to tell us? Maybe that we handled a situation wrong. Maybe to try again and not give up. Maybe that not everyone is a good friend. Maybe that we haven’t been a good friend and that we need to apologize. Emotions are not just random things that happen to us — emotions are lessons — emotions are the fabric that connects to the ones we love. 10. You’ll Remember Next Time. That one simple phrase communicates so much to children. It tells them that their failure today isn’t a permanent failure and that they can change. It also helps them resolve their current feelings (I feel bad now, but next time I can do better) and gives them a sense of relief and a desire to try next time. If they do remember next time they might even point it out to you “I remembered Mama! I used my words!” with their eyes shining with pride. And you’ll respond with a “Yes, you did remember! You used your words!” just as excited as they are. When they do that you know it happened — they were empowered to change their behavior from within. Subscribe to my weekly newsletter and get your printable! 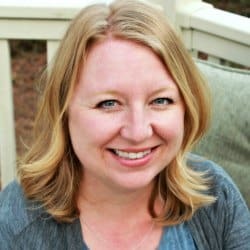 Subscribe to my weekly newsletter where I share research-based parenting tips, information on child development, my latest posts and subscriber-only resources and download a free copy of these emotion-coaching phrases for parents. 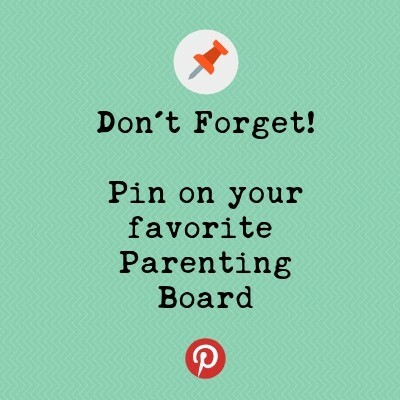 I have mine on my fridge so I can easily remember to help my child work through emotions instead of reaction with my own. 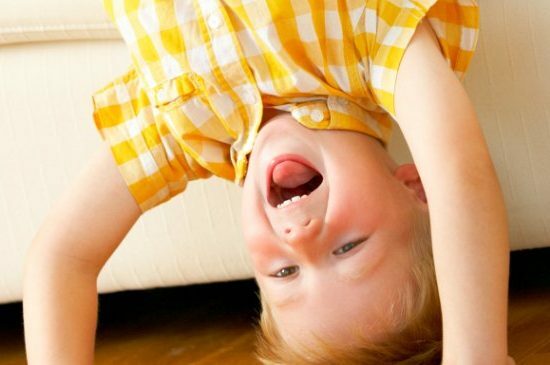 3 Simple Steps to Positive and Effective Discipline: Are you Reacting or Responding to Your Child?